Who says classics are only for sunny days? Can anybody tell me model and year? 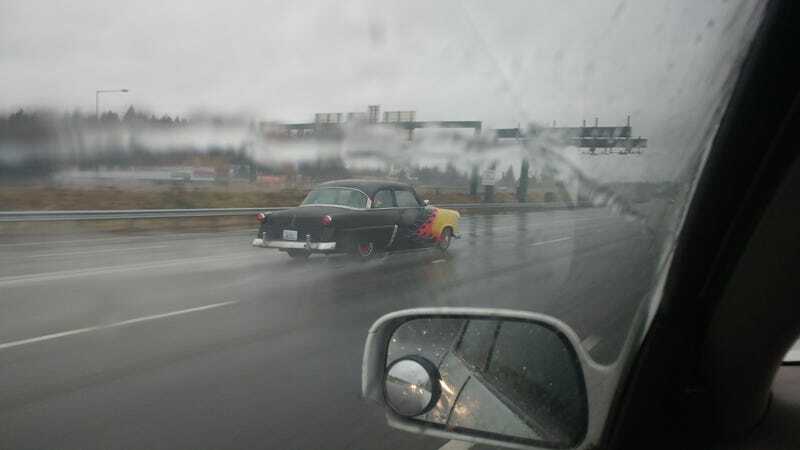 I guess 1950 ford.